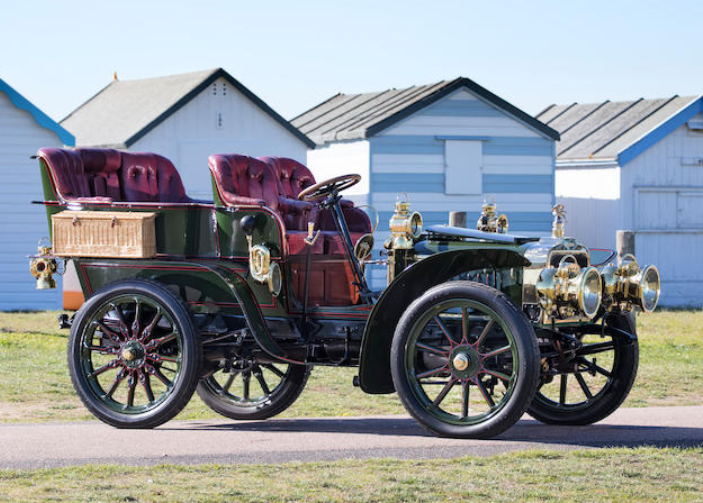 There seems to be a Darracq at Bonhams’ London-to-Brighton sale every year. And we never get to feature it. Not this year!. 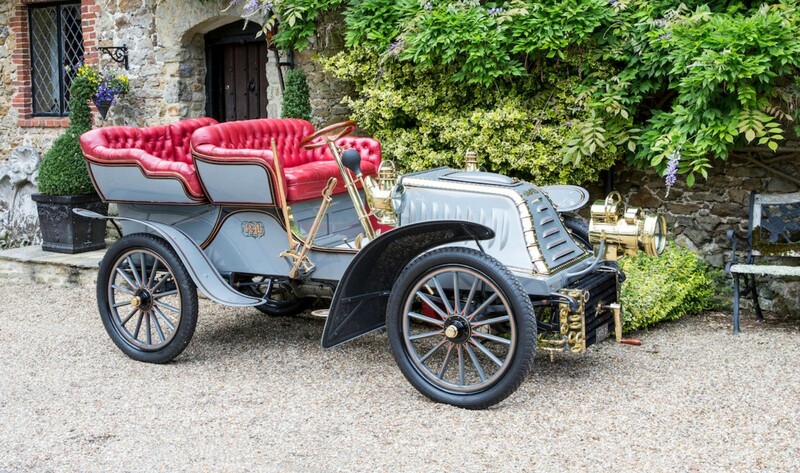 This 24HP Darracq was restored in the 1990s and is still winning awards. It successfully completed the 1903 Paris-Madrid race with its first owner, even though the race was halted due to fatalities. Power is from a 4.7-liter straight-four good for 24 horsepower. Top speed is about 50 mph and this car is actually a little smaller than it looks. Most rear-entrance tonneaus are quite large, but just look at how compact the wheelbase looks for an estimate of this car’s size. This is a high-quality car, as all big Darracqs of this vintage are. It is one of two in existence and should bring between $730,000-$860,000. Click here for more info and here for more from this sale. This is the final missing piece as far as pre-Model T Fords go. 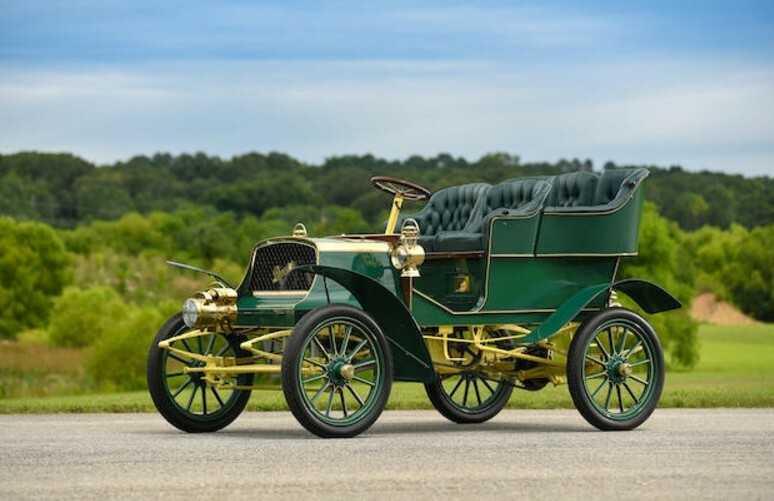 We’ve featured every other model, beginning with the Model A and Model AC, the Model B, Model F, Model K, Model N, Model R, and Model S. This is a fine example of the 1904 and 1905-only Model C.
The Model C uses the same engine as did the AC: a 10 horsepower, 2.0-liter flat-twin. 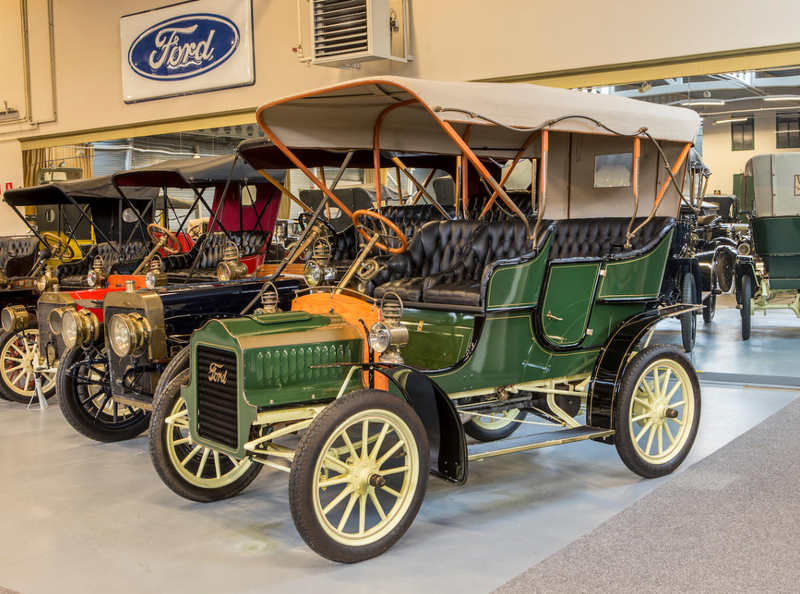 Though 1904 was only the second year for Ford production, the Model C was a leap forward from the Model A. Mechanically similar to the AC, it is a more “modern-looking” car (you know, for 1904) with a more conventional layout. 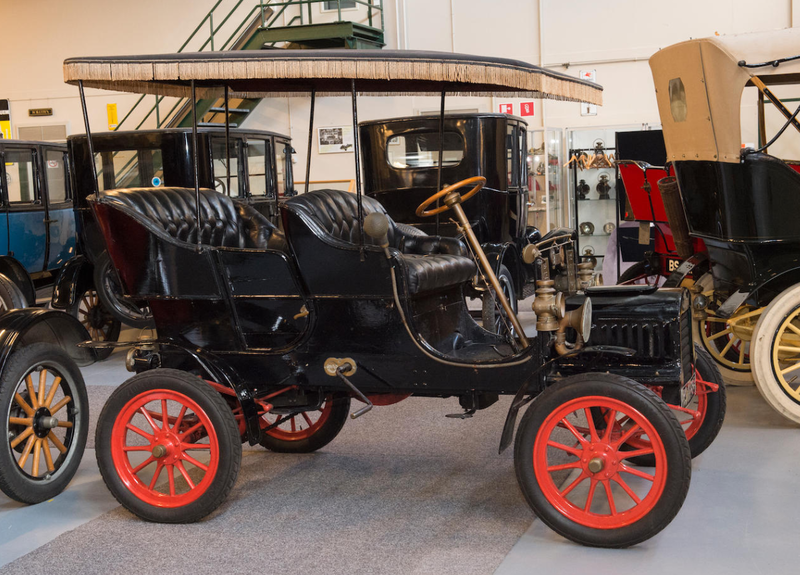 Though it was sold side-by-side with the Model F in 1905, the F would ultimately replace the C in 1906. This was a $950 car when new and only 870 examples were built between the two model years. It is thought that only about 20 remain. This particular example was built in Canada. It should sell for between $41,000-$53,000. Click here for more info and here for more from Bonhams. What? Never heard of a Chameroy Tonneau? Artcurial is presenting a collection of true oddball cars at Rétromobile and I love it. Automobiles Chameroy of Le Vesinet offered automobiles for only four years, from 1907 through 1910. 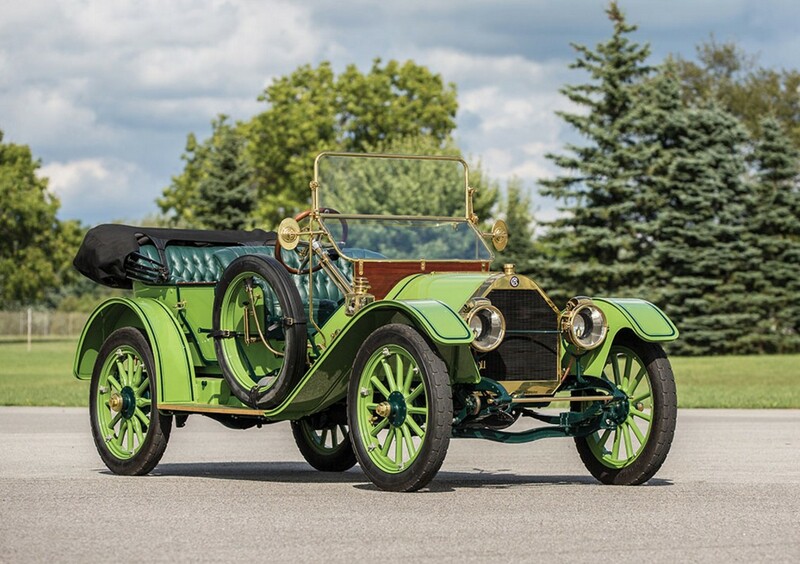 This 1907 model features a V-4 engine making “at least 9 horsepower.” It is likely an Aster engine and probably the largest car Chameroy built (which would likely make it the Type D, but that’s just an inference on my part). Chameroy was apparently more famous for their own special “non-skid tires” and may have had more success with them. As it is, this is the only known example of their cars to survive. It should bring between $12,000-$18,000. Click here for more info. 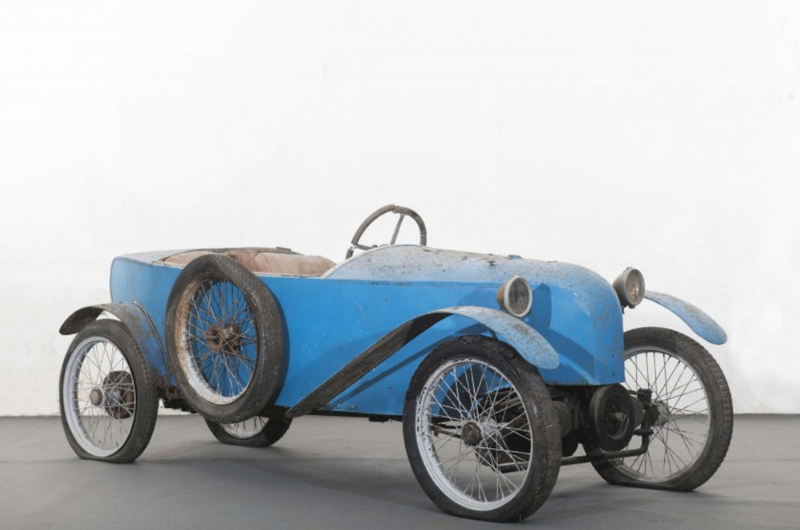 This little two-seat French roadster was not built by an automobile company. Instead, it was built by a French railway employee, likely while he was on strike (just kidding!). 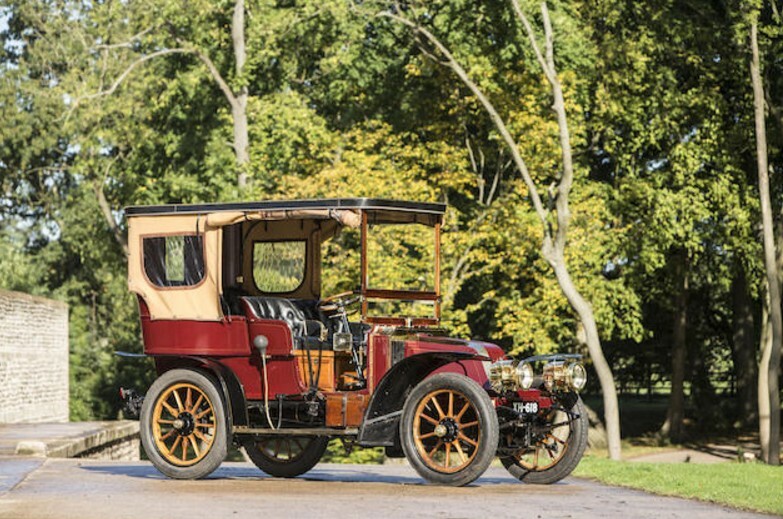 It’s powered by an eight horsepower De Dion single-cylinder engine from 1903. Not much else is known about the car’s history or its builder. The collection of Michel Broual, of which this is being sold from, acquired it after many years of waiting as the car wound up in a shed that had sort of been made smaller around the car so it could not be removed. The owner refused to allow anyone to trample his garden and someone else snuck in and bought it out from under Broual who would have to wait years to buy it from that gentleman. Kind of weird story. But hey, it’s kind of a weird, one-off car. It should bring between $12,000-$18,000. Click here for more info. Camille Contal’s Mototri was a forecar built in France. Unlike many of its counterparts, this was not a motorcycle fitted with a front-facing chair. It was designed from the ground up as a tri-car. 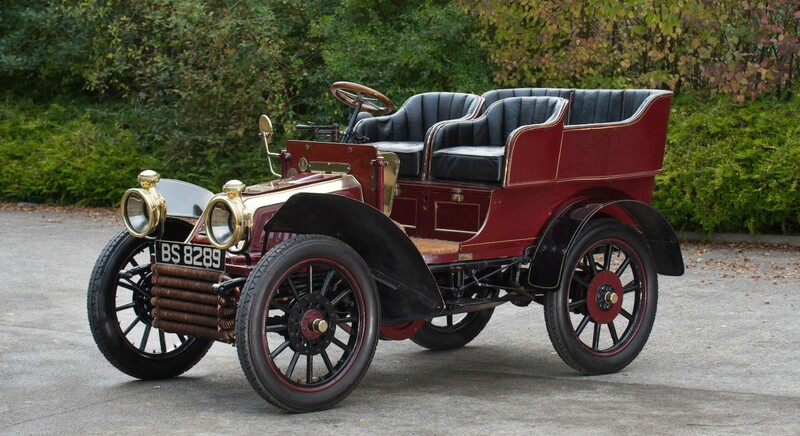 First introduced at the 1905 Paris Auto Salon, the Contal would be sold to the public in 1907 and 1908. 1907 was a good year publicity-wise for the firm as one of their Mototris competed in the Peking-Paris race (even if it didn’t do very well). The Mototri could be had as you see here or as a delivery wagon. Compared to many of the cars in this collection, this one seems to be in quite decent shape. It should bring between $18,000-$30,000. Click here for more info. Ah, the SIMA-Violet. When I think “cyclecars” this is one of the first cars to come to mind (this is a close second). SIMA-Violet’s name comes from SIMA (Société Industrielle de Matériel Automobile) and the last name of the company’s founder: Marcel Violet. The company produced their unique take on the cyclecar between 1924 and 1929. Most are two-seaters with the seats offset so that the driver sat farther forward than the passenger. They were all powered by a 497cc two-stroke twin designed in-house that was geared to do 60+ mph (no thank you). If you ever want to see a great example of one of these up close, head to the Lane Motor Museum in Nashville. The blue example on offer here should sell for between $10,000-$15,000. Click here for more info and here for more from this sale. Every year there are a number of pre-1910 Renaults that come up for sale. Bonhams almost always has at least one at their London-to-Brighton sale and we never get to feature them. 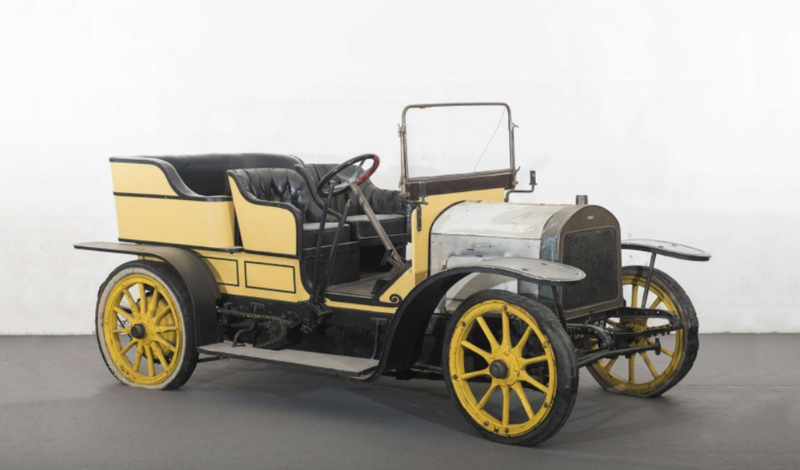 That changes this year, as Bonhams has multiple Renaults and we’ve selected this one – the earliest Renault we’ve yet featured. The first of Louis Renault’s cars were single-cylinder De Dion-powered. 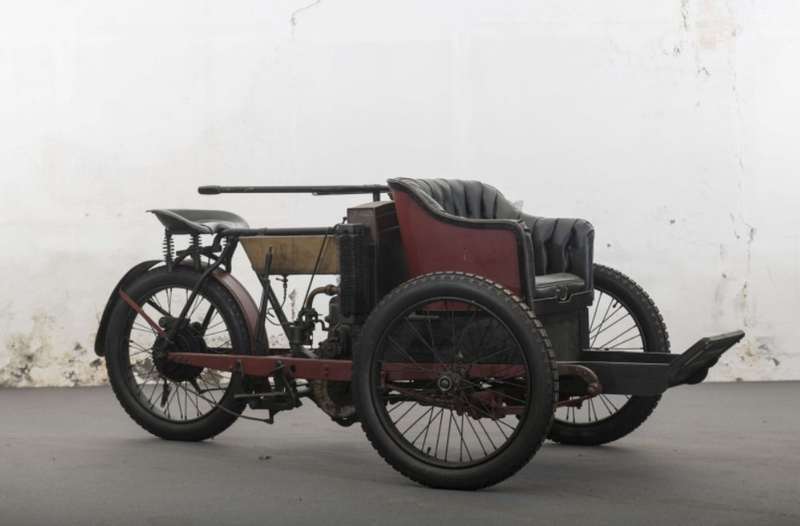 Four-cylinders came in 1904 – this one is 3.0-liters in capacity and makes 14/20 horsepower. The body on this car looks remarkably like the Aster that is also offered at this sale. 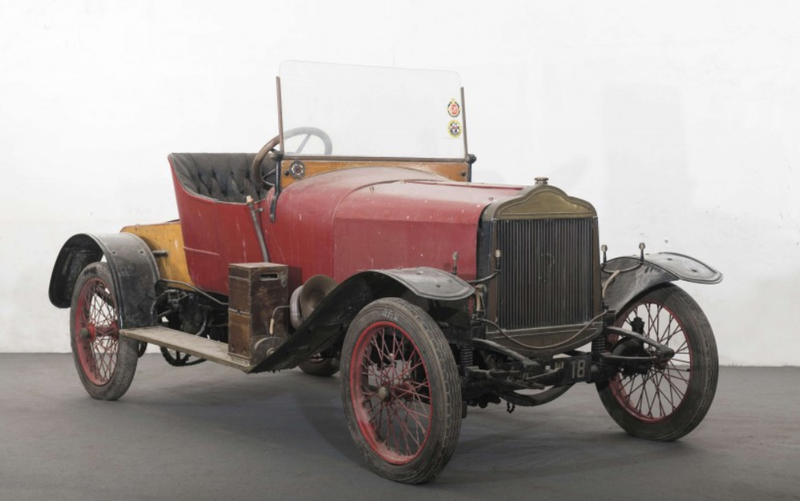 The history of this car is that one family owned it from the 1920s through the 1980s when it was bought by the present owner, who restored it completely. It’s been upgraded slightly to run more reliably and has nice weather protection for a car its age. This, one of the first four-cylinder Renaults, should bring between $310,000-$340,000. Click here for more info and here for more from this sale.